All those people coming out and saying Conor McGregor has absolutely no chance against Floyd Mayweather? They’re only serving to fuel the Irishman’s fire, per his coach. 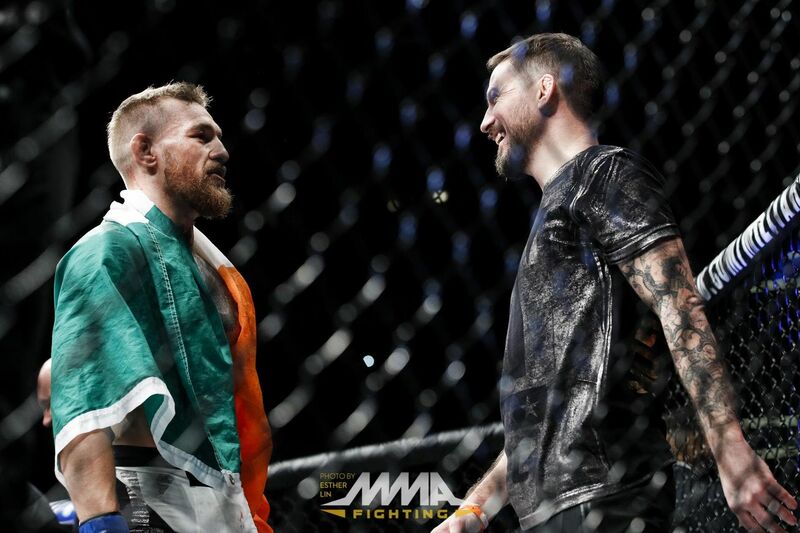 John Kavanagh, McGregor’s longtime mentor and the head coach of SBG Ireland, told Ariel Helwani on Monday’s edition of The MMA Hour that McGregor thrives on proving people wrong. And the team has only gotten tighter in preparing for this bout because of the haters. McGregor will meet Mayweather on Aug. 26 at T-Mobile Arena in Las Vegas. On paper, it’s a gigantic mismatch. Mayweather is 49-0 and one of the best boxers of all time. McGregor does not have a single pro boxing match to his name. Mayweather has upended the top boxers of his generation, so how could McGregor, a UFC fighter without high-level boxing experience, expect to beat him? That’s just the kind of thing that McGregor does all the time, his team has said. Kavanagh watched McGregor do boxing sparring Monday, he said, and he believes “The Notorious” only needs three more weeks of training to be ready for the fight. McGregor has closer to eight weeks before he steps into the ring against Mayweather. It will be a tall task. McGregor, the UFC lightweight champion, will be in Ireland, training at a new gym right near SBG, for another two weeks before heading to Las Vegas for the final six weeks of his training camp. Somewhere in that time there will be a media tour, both sides have confirmed, but details have not been hammered out yet. in front of the cameras is where McGregor thrives and he already knows he’ll have pundits saying it would take a miracle for him to beat Mayweather. The boxing media has already started — and rightfully so given the respective résumés. But McGregor and SBG have always operated on a different wavelength. And the naysayers are only making the squad closer, Kavanagh said. The MMA community getting behind McGregor in this MMA vs. boxing battle has also been a boon. Kavanagh said people should be in for a surprise Aug. 26.